Current Dakota Venture Group President Andrew Allen (middle) joins organization alumni Greg Syrup (left) and Kevin Lunke (right). 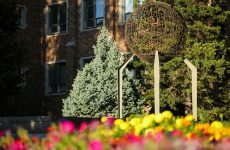 All three have held leadership roles in the first and only fully student-run venture fund in the nation. Photo by Tyler Ingham. If you gather current and past members of the Dakota Venture Group (DVG) together in one room, you’re going to hear a lot of financial jargon. Capital. Equity. Returns. But when current president Andrew Allen joins alumni Greg Syrup and Kevin Lunke around the table, another common language is shared. Opportunity. Connections. Mentors. 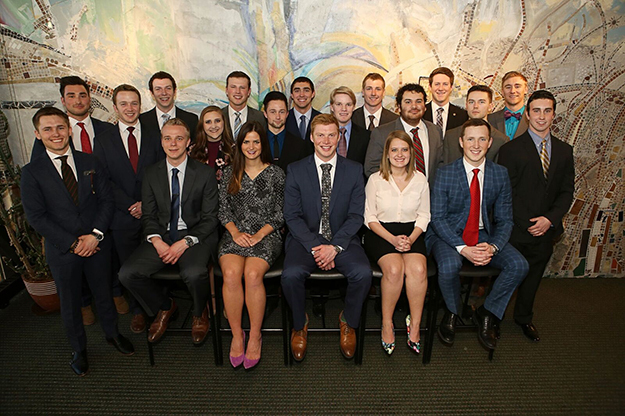 Dakota Venture Group—the first and only fully student-run venture fund in the nation—is celebrating its tenth year of providing hands-on private equity investment experiences for UND students. Since it began in October 2006, the program has trained more than 140 future professionals on the ins and outs of performing due diligence, negotiating investment terms and accelerating company growth for high returns. It’s a lot to learn. 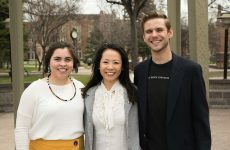 Help is close by in the form of former DVG members Syrup and Lunke, who currently serve as entrepreneur coaches for the Center for Innovation and managers of the 701 Angel Fund, a North Dakota angel venture capital firm. UND Center for Innovation Foundation CEO and DVG Advisor Bruce Gjovig says his board chairman, now-retired venture capitalist Bart Holaday, wanted to see what difference it would make in students’ lives if they learned private equity investment when they’re in college—something that most people learn in their 30s or 40s. So, with a $300,000 donation, he created Dakota Venture Group. And it turned out to be a very successful experiment. Those who are accepted into the program are responsible for driving two funds. One is the Harvest Fund, a for-profit venture capital fund focused on early stage ventures in high-growth regional sectors like technology, energy and medicine. The other, the Innovation Fund, is a non-profit fund reserved for student ventures. Syrup’s enthusiasm for the project was easy to pass on. 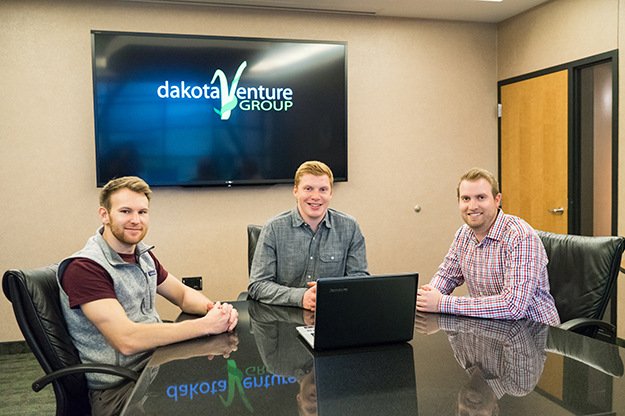 The Dakota Venture Group (DVG) is celebrating its 10th year of providing hands-on private equity investment experiences for UND students. Since it began in October 2006, the program has trained more than 140 future professionals on the ins and outs of performing due diligence, negotiating investment terms and accelerating company growth for high returns. Above is the 2017 DVG student team. Photo courtesy of the DVG. Syrup and Lunke are using what they learned in DVG to make a difference here in North Dakota. They worked with Gjovig to help develop the 701 Angel Fund as a way to provide access to much-needed capital. Lunke said the 701 Angel Fund also allows businesses outside of the state to actively seek opportunities here. “So it’s both for entrepreneurs in North Dakota, but also making the state a better hub for other companies to come to North Dakota,” he explained. 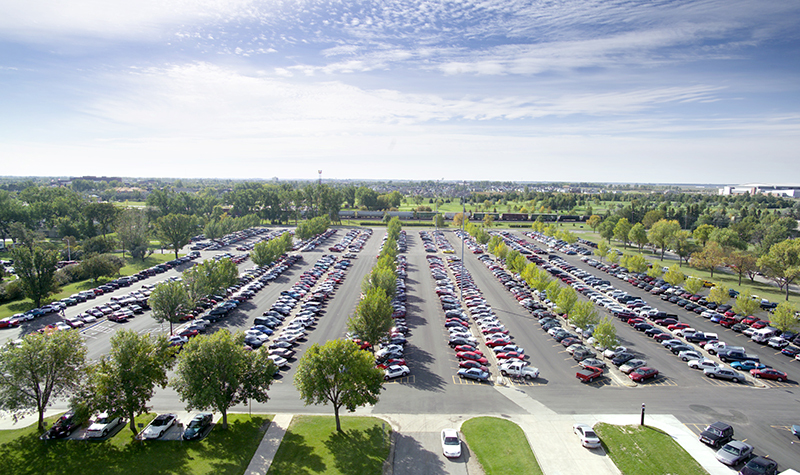 Past members are making their mark on North Dakota in other ways. When former DVG President Emily O’Brien stepped down in December to take on a freshman legislator role in Bismarck in January, she may not have known how valuable her knowledge would be. “It turns out, this session has very critical angel capital legislation, House Bill 1045. She was the resident expert in the Legislature because of her experience in DVG,” Gjovig said, unable to hide his pride. As the current president, Allen knows it’s his responsibility to protect the legacy of his predecessors. DVG is always looking for a blend of applicants, not just those from business and finance. The group seeks expertise in areas like law for legal matters, as well those studying high-growth industry areas like energy, technology and medicine.